Individual bowl. White pearly finish or black ceramic. Your salads have never looked tastier and more colorful than in this individual serving bowl. 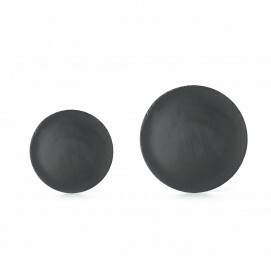 Go for a 100% natural look on your table, during outdoor barbecue grill party or indoors, with this black porcelain looking like slate stone, without its inconvenience. Basalt pieces are black all the way through: don’t fear chipping! Non-porous, no stain, fat or odors of your dressings will remain on this bowl that is dishwasher safe. Perfect size for cold appetizers, entrées, enjoy your healthiest salads, or creamiest soups. Your side dish will also steal the show in this Basalt serving bowl: mashed potatoes, rice, vegetables… Microwave, freezer and oven safe, it is perfect to enjoy your dish at your preferred degustation temperature. 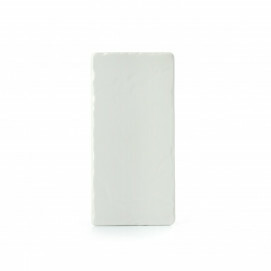 Like all our products, it is made of Revol porcelain, 100% food safe and environment friendly. 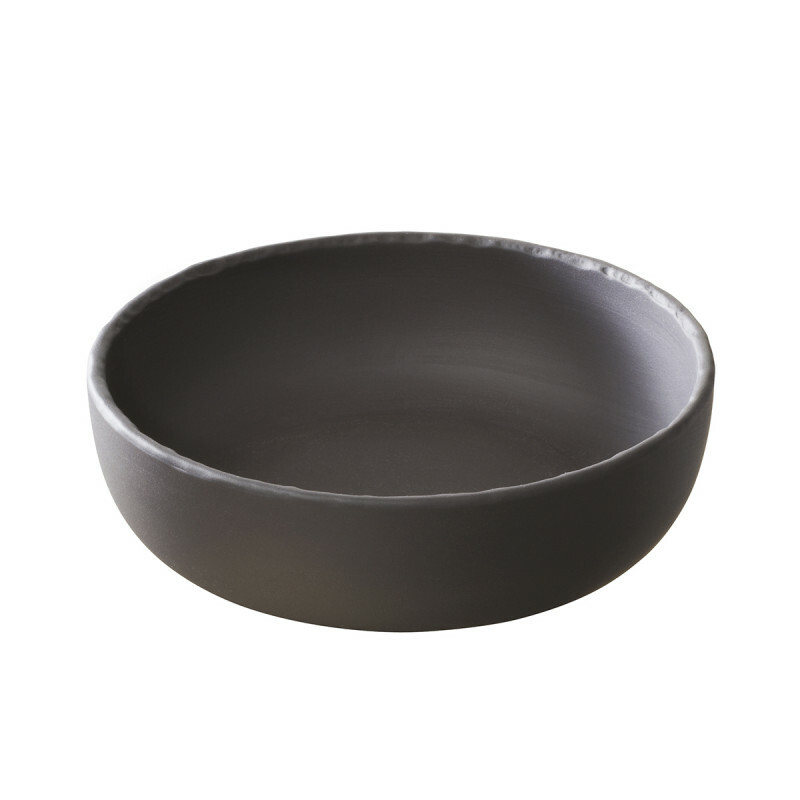 Enjoy your healthy salads, indulging hot food, or the creamiest ice creams, in this unique Basalt serving bowl. The individual serving bowl Basalt can be served with the Decorated bottle olive oil - French classique to dress your salads. So as to make an esthetic design in your table, you can use the individual serving bowl slate style Basalt black or white in the Black or White rectangular matt slate style appetizer plates.